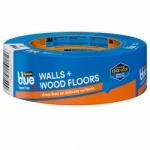 >3M ScotchBlue™ Trim + Baseboards Painter’s Tape - 1.88 in. x 60 yds. 3M ScotchBlue™ Trim + Baseboards painter's tape features Advanced Edge-Lock™ Paint Line Protector for super sharp paint lines! ScotchBlue™ Painter's Tape Multi-Surface with Advanced Edge-Lock™ Paint Line Protector 2093EL removes cleanly with no surface damage. 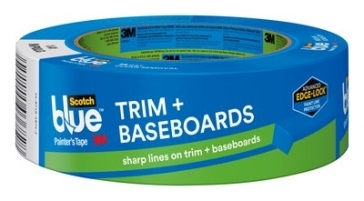 Great for use on baseboards and trim, metal and glass. This tape features the ScotchBlue™ Painter's Tape logo and the product number printed in green, right on the tape, so you can find it easily in a drawer or tool box and know what you're choosing and using.